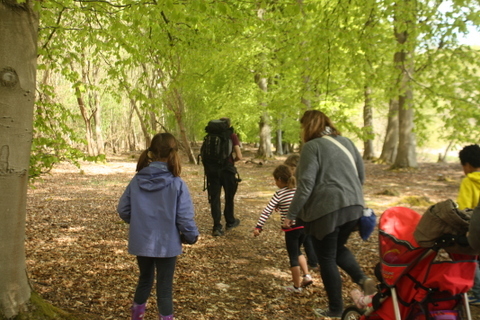 This weekend I went to my first blogger’s event, at Forest Holidays‘ new site near Winchester called Blackwood Forest. 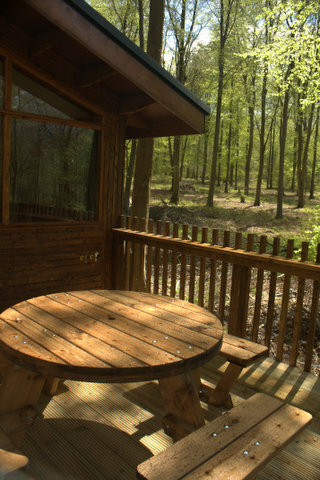 Forest Holidays are part owned by the Forestry Commission and their cabins are situated deep in Forestry Commission forests. I admit to being a little sceptical about whether this would really be my kind of thing. Of course, I love being in the forest but usually I am cooking over a campfire and wearing the same clothes three days in a row. This is certainly not what forest holidays are about. 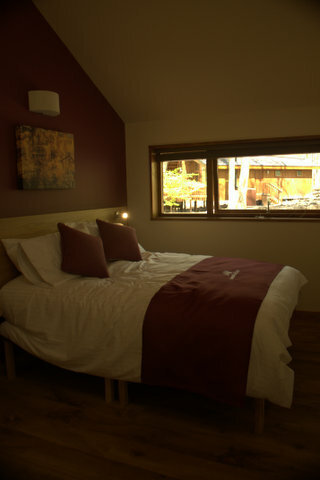 The wooden lodges are spacious and luxurious with excellent eco-credentials,. There are all kinds of luxury treats available – Chef in your Cabin, Family Movie Night, Flowers and Chocolates plus various health treatments that can be enjoyed in your cabin to name but a few. Plus the rather delightful addition of a hot tub under the trees in many of the lodges. As we drove deep into the woods and saw the lodges nestling among the trees I was immediately impressed. 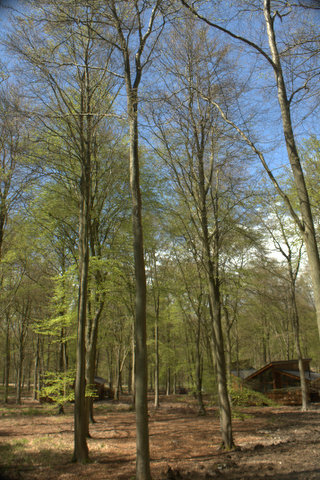 The forest is a managed beech plantation, beech creates a wonderful high, thick canopy with plenty of space underneath. 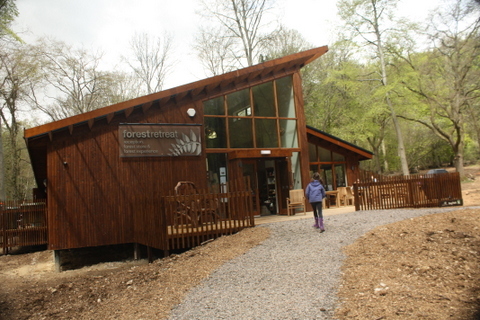 The Forest Retreat provides a central focus for the site with a shop selling some basic supplies, a few toys and gifts and a lovely cafe with a terrace under the trees serving good food all at reasonable prices. Nearby is a small children’s playground. We were shown around one of the cabin. 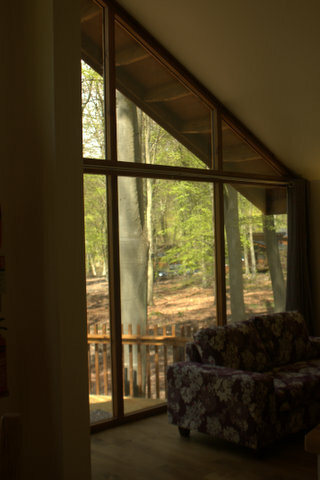 There was a high quality finish, plenty of space and beautiful big picture windows looking over the balcony into the forest. 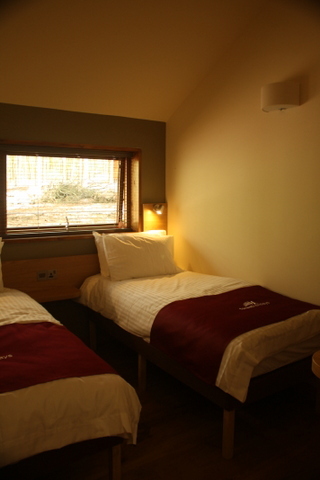 I considered hiding in a cupboard to steal a free night, the beds looked so crisp and comfy. I certainly felt I could relax there. As impressed as I was with the accommodation the next part of the day was what really topped it for me, and I think it is a very important part of what Forest Holidays offers. It isn’t just about sitting around enjoying the lovely scenery, you are encouraged to get out and enjoy the forest. 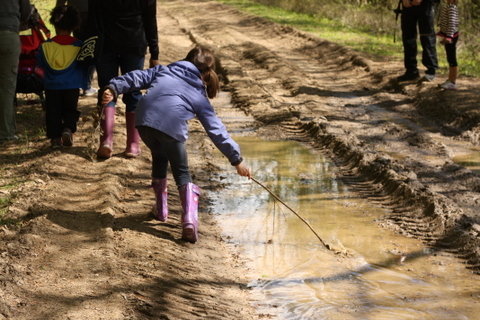 We were taken on a Ranger guided walk with added ‘survival skills’. 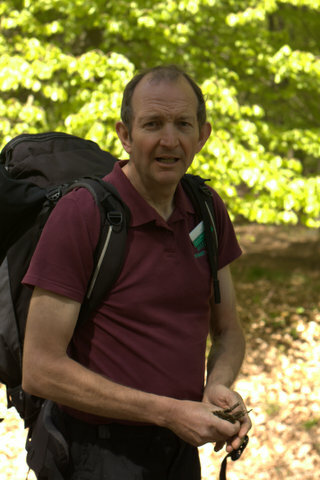 As we wandered through the wood, David, our ranger, found interesting things to tell us at almost every step. He engaged the children well and stopped to answer all questions and examine all finds with enthusiasm and good humour. 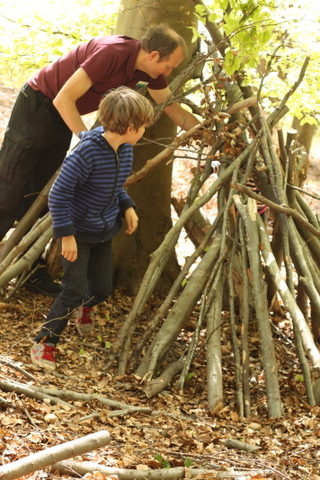 We munched on newly emerged beech leaves, looked for signs of deer, examined rotten wood for mini beasts, learnt about different types of woodland, saw a slow-worm, attempted to make fire using a fire steel and built a den. Frankly, I was in heaven (and so was my daughter!). There are several different ways to enjoy the forest, including night time expeditions with a Forest Ranger! You can also hire bikes to explore the area or just go for a good old walk. 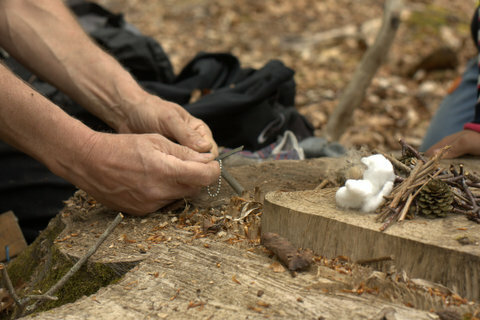 The forest is open to dogs and the general public, it is not an enclosed location like Centre Parks and you are encouraged to explore the surrounding areas as well as the immediate forest vicinity. In all I was really impressed by the whole experience. It is certainly much more luxury than camping or even glamping! Not something you could do frequently, but as a treat I could certainly be persuaded! NB: I was not paid but I did get a cracking day out in return for a review. After visiting Blackwood Forest we went for a spot of traditional camping at the brilliant Inwood Campsite very nearby! This looks fab! I think the Forestry Commission also do camping – Camping In The Forest. Their North Yorks site is on my wish list. I suspect Husband would say the lodges are the best of both worlds & the rangers are the icing on the cake. They were lovely but all that luxury doesn’t come cheap! For some daft reason none of the forestry commission camspites allow campfires. Foolishness!